First time visitors to Santa Fe may at first glance be taken aback by the seemingly plain buildings, brown, and built in the traditional adobe style. It doesn’t take long, though, for visitors to unearth the hidden beauty and exquisite culture that have melded together and made Santa Fe the top travel destination that it is today. 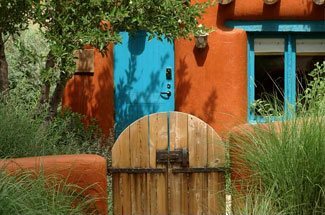 Today, even the architecture throughout Santa Fe is considered an art form, echoing the deep layers and history that make Santa Fe so exquisite. It doesn’t matter whether you’re an art collector, an artist, or just someone who appreciates beautiful and oftentimes unique things. Art lies at the heart of Santa Fe’s culture, and rests at the fingertips of those who stay in Santa Fe, fully accessibly in the city’s 250+ art galleries. 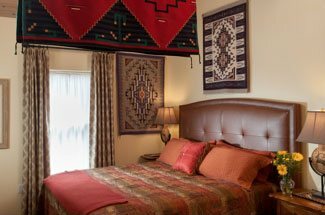 Our luxury Bed and Breakfast Inn is located in the heart of downtown Santa Fe, within easy reaching distance of many of the best art galleries. Book your room with us today, and fall in love with the artistic flair of Santa Fe. One of our favorite things to do in Santa Fe is to walk the beautiful streets of legendary Canyon Road, around the downtown Plaza, or in the upandcoming Railyard District, discovering one gallery after another. You may even have the chance to meet some of the artists at Santa Fe’s famous Friday evening gallery openings throughout the year. Two of our favorite galleries include the Gerald Peters Gallery and the Nedra Matteucci Gallery, both of which feature beautiful representations of American art from nineteenth and twentieth centuries, including the Taos Society of Artists, artists of the American West, and masters of American Impressionism and Modernism. If you’re a particular fan of Jean-Claude Gaugy, then don’t miss the Gaugy Gallery, where you’ll find a full variety of his artwork, including his signature medium of carved wood paintings. Canyon Road staple, the Waxlander Art Gallery, is also an exquisite place to browse works by local aritsts. If you’re in the mood for more contemporary art, then we suggest both the new LewAllen Gallery in the Railyard District, which is fast becoming the primary center for contemporary art in Santa Fe, as well as the Turner Carroll Gallery on Canyon Road. If you’re interested in learning about and seeing fine examples of regional Native American Art, then we highly suggest the Blue Rain Gallery, Andrea Fisher Fine Pottery, Mark Sublette’s Medicine Man Gallery, and Niman Fine Art. You’ll be rewarded with a beautiful mix of historic and contemporary Native American art, ranging from baskets and beadwork, to pottery, include Pueblo Pottery, Jewelry, and much more. 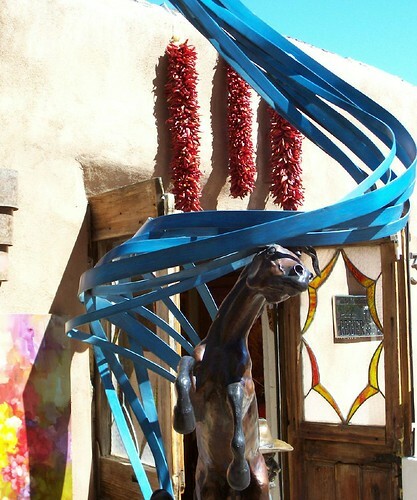 Santa Fe is also home to a great variety of interesting specialty galleries. The Andrew Smith and Verve Galleries showcase beautiful contemporary and historic photography, and the Tai Gallery showcases stunning pieces of bamboo art. Head five miles north of Santa Fe, to the village of Tesuque, and you’ll find the Shidoni Gallery, featuring 8 acres of sculpture gardens and a bronze art foundry situated along the Rio Tesuque. While there, don’t miss the beautiful Tesuque Glassworks, featuring a sales gallery, daily glassblowing demonstrations, and tours of the cast glass facility. No matter what kind of art speaks to you, a visit through Santa Fe’s art galleries is nothing short of fantastic. Book your room at our luxury Santa Fe Bed and Breakfast today, and the world of Santa Fe art will be at your fingertips.